American spiker Erin Fairs will be making the move to Italy for the 2018-19 season to play with Omag Consolini Volley San Giovanni in Marignano. Fairs, 5’9″/180cm, signed to play with Trefl Proxima Kraków in the Polish league for the 2018-19 season, however the team dissolved prior to the start of the season. Fairs decided to sign with Omag Consolini Volley shortly after. Before playing professionally, Fairs played in the NCAA D1 in the United States. She played through her senior year with South Florida and then played her senior year with Louisville. In her freshman year with USF she was named Big EAST Freshman of the year. In her sophomore season she was named the American Athletic Conference player of the year. Straight out of university Fairs signed her first professional contract with Engelholms in the Swedish league, joining them partway through the season. 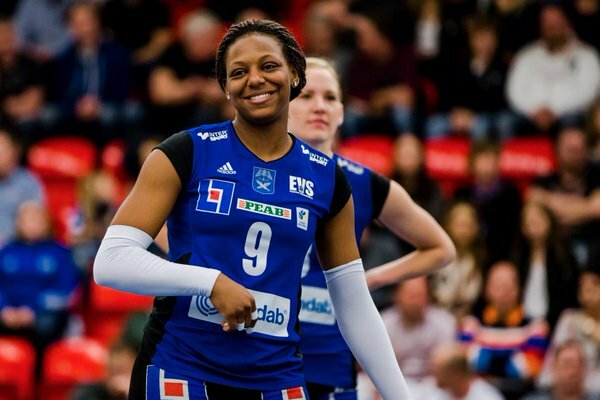 They went on to win the 2015-16 Elitserien (Swedish volleyball women’s championships), giving her, her first professional title. Fairs bounced around the professional volleyball scene, playing in Turkey, Puerto Rico, Romania, and now Italy. Fairs will be joining a squad that’s coming off one of the best seasons in the history of the club. Omag Consolini Volley won the Italian Cup A2 series last year, finished fourth in the season of the Serie A2 (second highest division of the Italian League), and went on to place second overall in finals.